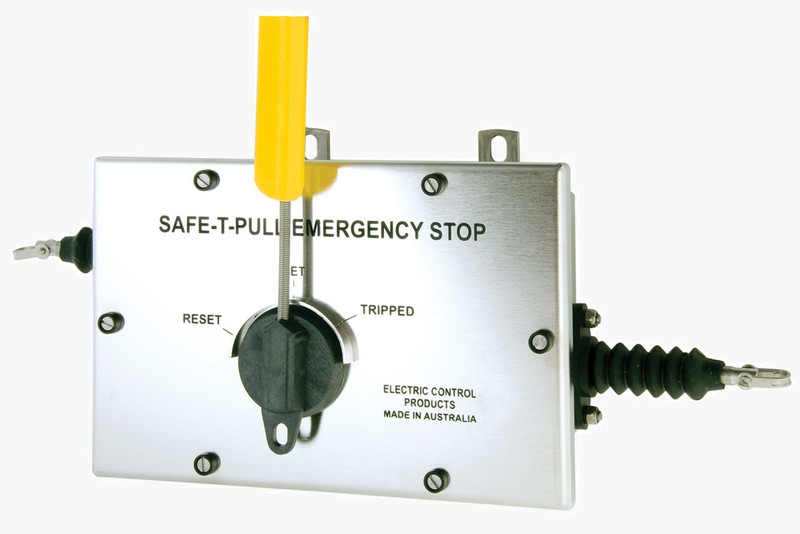 A Safe-T-Pull emergency stop lanyard switch will be tested for mechanical and electrical functionality to the relevant Australian, International and Electric Control Products standards. A Safe-T-Pull emergency stop lanyard switch will also be tested for mechanical and electrical functionality. Overall visual check and quality assessment of all components before and after construction. Continuity test of all the micro switches in all normally closed and open positions and electrical connections @ 1 mA 2.7V DC. Visual check and quality assessment of all micro switch components, cables and connections before installation on switch plate. A Safe-T-Pull Test Certificate will also contain information regarding the weight value at which the left and right hand pull rod was tripped and the cable tension value. A Pull-Safe emergency stop lanyard switch will be tested for mechanical and electrical functionality to the relevant Australian, International and Electric Control Products standards. 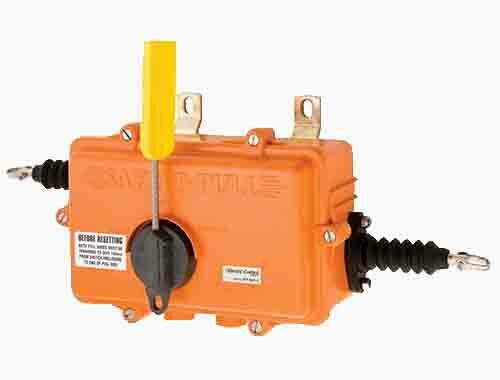 A Safe-T-Drift belt drift switch will be tested for mechanical and electrical functionality to the relevant Australian, International and Electric Control Products standards. A Safe-T-Rip belt tear switch will be tested for mechanical and electrical functionality to the relevant Australian, International and Electric Control Products standards.